From humble hand-made macaroni and vermicelli crafted in Canada’s first pasta plant, to a wide selection of healthy and nutrient-rich pasta made and sold today, CATELLI® has been tableside with Canadian families since the birth of the nation in 1867. Emigrating from Lake Como, Italy, Carlo Catelli was part of the original group of fifty Italian families that settled in Montreal in 1845. Carlo was a skilled sculptor and made a living creating beautiful works of art, many of which can still be found in churches across Montreal. A few years after settling in Montreal, Carlo’s adopted nephew, Carlo Onorato Catelli, emigrated from Vedano, Italy to be with his uncle. In 1867, when Carlo Onorato Catelli was just 18 years old, he started making and selling pasta on Saint-Paul Street in Old Montreal. Over the years, Carlo Onorato Catelli’s business took off and he became a prosperous and well-respected businessman who played a founding role in the development of Montreal’s Little Italy. He married Maria Armand, the daughter of a senator and together, they had two kids, adding to the Catelli family. Over 150 years, CATELLI® has grown from a small operation to include a full range of pasta shapes and varieties to suit the evolving needs and tastes of Canadian families. 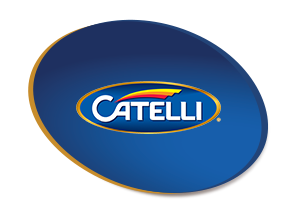 Today, the tradition continues with CATELLI® producing some of the world’s best and most innovative pastas suited to both traditional and contemporary recipes and enjoyed by Canadian families everywhere. Carlo Onorato Catelli opens his pasta plant on Saint-Paul Street in Old Montreal. Mechanization allows CATELLI® to expand its product line. CATELLI® releases complete pasta meals in a can. CATELLI® expands, moves into a bigger building and gets a new look. CATELLI® installs the largest and most advanced pasta line in North America (Montreal) to keep up with increased consumer demand for pasta products. 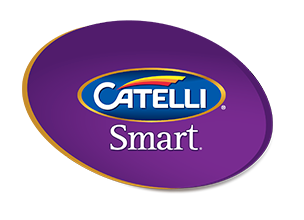 CATELLI® answers Canadians' nutritional needs by being the first to enrich its pasta products. 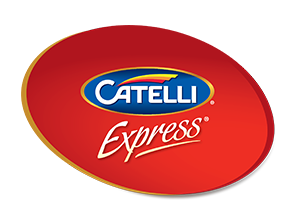 CATELLI EXPRESS® oven-ready lasagne and cannelloni help Canadians quickly prepare what were traditionally time-consuming pasta dishes. CATELLI® continues to celebrate being a part of Canadian families. 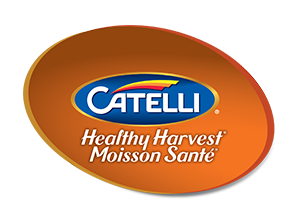 In response to consumer calls for even healthier products, CATELLI® launches HEALTHY HARVEST®, a line of whole grain wheat pasta products rich in fibre. 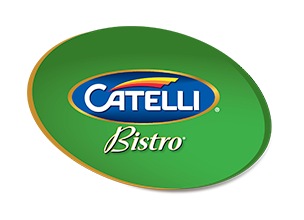 CATELLI® is the first in Canada to introduce specialty tri-coloured and flavoured pastas under the brand name CATELLI BISTRO®. These colourful pastas add contemporary flair and "entertainability" to pasta dishes. With 2 ½ times more fibre than regular white pasta, CATELLI SMART® helps Canadian families add more fibre to their diets while enjoying the great taste of traditional white pasta. 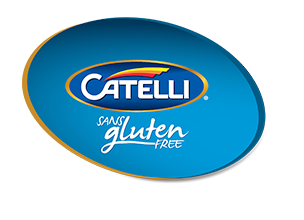 To provide a delicious alternative for those who follow a Gluten Free diet, CATELLI® launches a new line of Gluten Free pasta, made with a unique blend of four grains that delivers delicious taste and smooth texture. 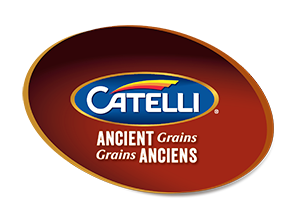 CATELLI® launches Ancient Grains, a pasta made with 100% whole grain Canadian wheat and five ancient grains. 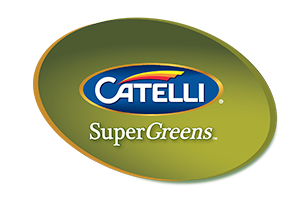 As Canadian families’ dietary needs evolve, CATELLI® launches Smart VeggieTM and SupergreensTM to deliver nutritious pasta made with veggies. CATELLI® celebrates its 150th Anniversary.